The A Class has largely been about dreams and aspirations. While most buyers would be willing to fork out some serious dough to be proud owners of a car with the three-pointed star, the original and second generation A Class left much to be desired (that being quite the understatement). The third generation car was a large improvement, especially in the styling department… Yet it did come across lacking in ergonomics and the ride quality was a little unrefined. The new A Class to us still checks the “dreams and aspirations Merc” box, and it seems that they have made large steps in improving their “Baby Benz”. 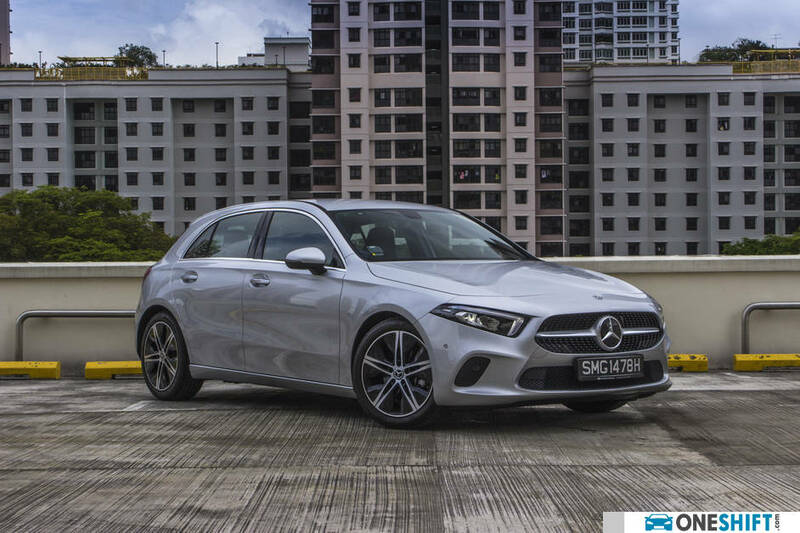 Termed the W177, the new A Class is larger on all fronts, and its all-important wheelbase has been extended by 30mm, which is good for packaging. Kerb weight at 1,375kg, even with a larger car is actually 20kg lighter than the car it replaces. 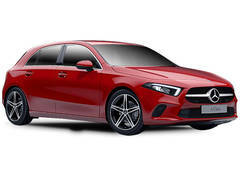 Featuring more dramatic styling, with a wider radiator grille, with Mercedes Star, which opens outward to the base, and angular-aggressive headlams, similar to that found on the sportily-styled CLS. 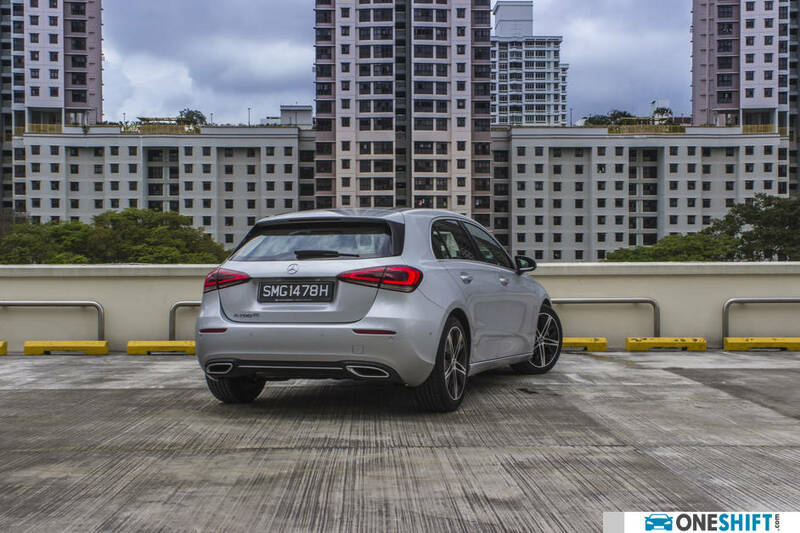 A wide waistline and a character line which runs along the side of the car, visually lengthens the A Class. 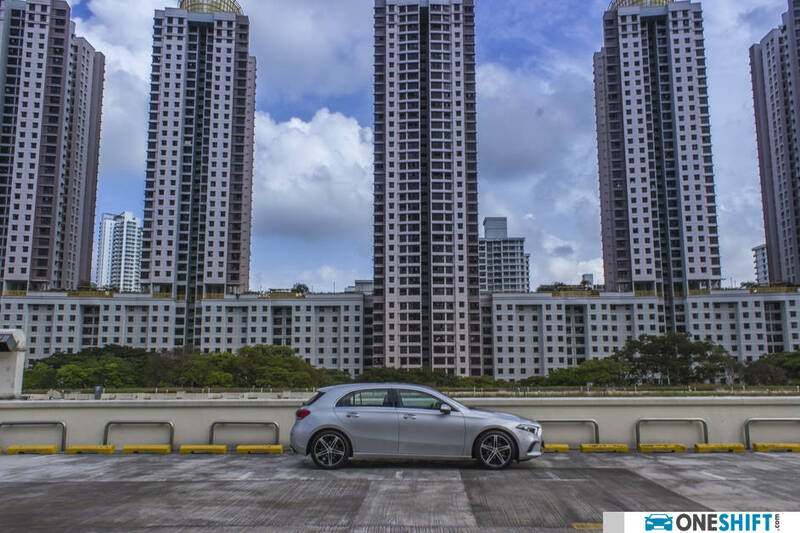 Squint a little when the car is seen at a 45 degree angle from the front, and you might even catch a hint of the CLS styling at its hind quarters. The new A Class still retains the ditch in the dashboard, which breaks it into two segments. 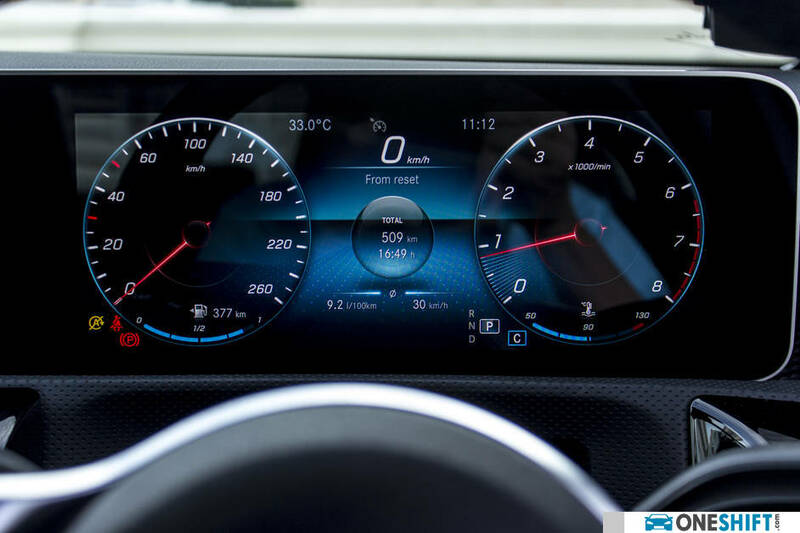 The redesigned dash however, gets LED strip lighting, and more prominently; its analogue instrument cluster is replaced with a large snowboard style instrument panel, which actually carries two 10.25” colour screens, one for the infotainment display, while the other functions as a virtual instrument panel. 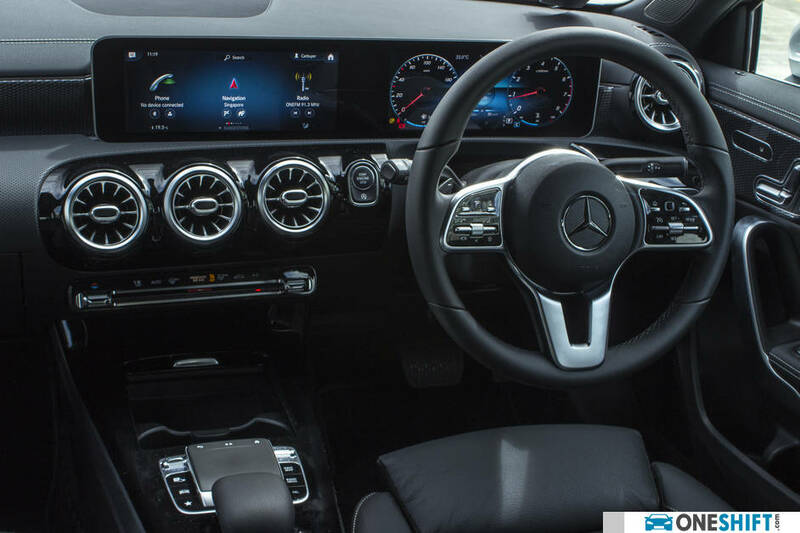 Control of the infotainment screen is done via a newly designed flat square touchpad on the centre console, which we feel is a welcome change versus the current arrangement seen on larger “Mercs” which have the tendency of blocking your view of some crucial buttons which surround the pad. 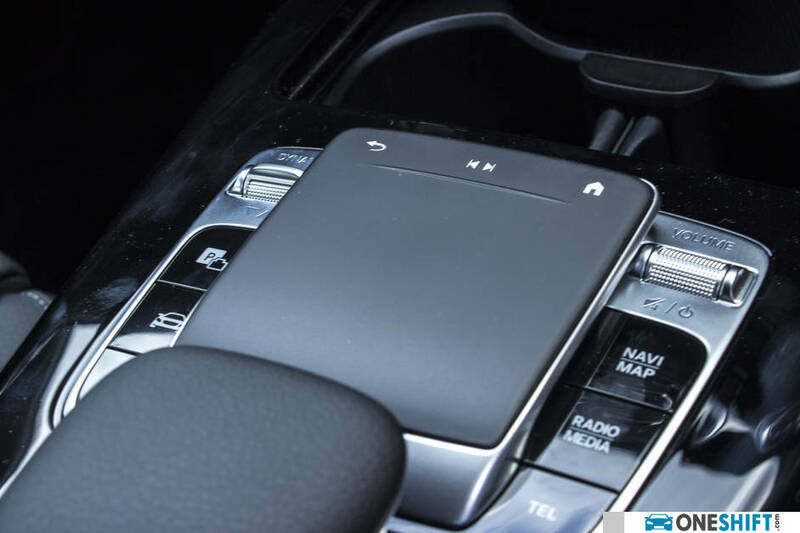 The new steering wheel incorporates a comprehensive array of controls, inclusive of a button-sized touchpad, one on each opposing spoke, which allows you to work the infotainment system, and instrument binnacle displays without the need to take your hands off the wheel. 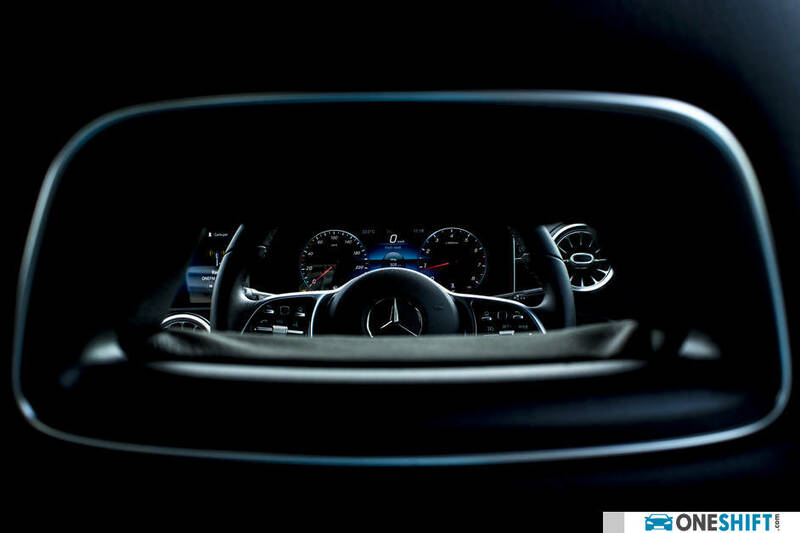 The infotainment system also features voice-activated controls, which react to the phrase “Hey Mercedes”... Think Google home, but for your car. 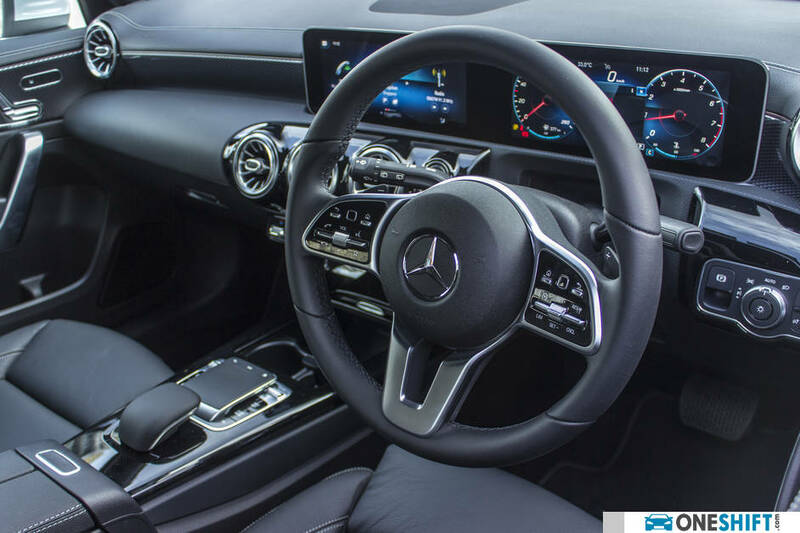 While quality and fit has seen quite an improvement, I cannot deny that, although very well put together, there is a sense that the new A Class interior feels a little “thin”. 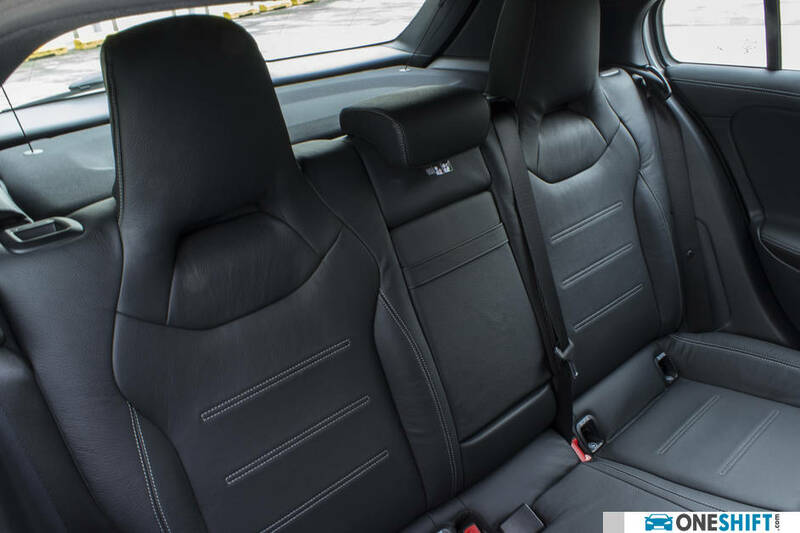 The front seats on our test car are one-piece integral-look sports units, which may mean that the headrests might not be in the most suitable position for some. 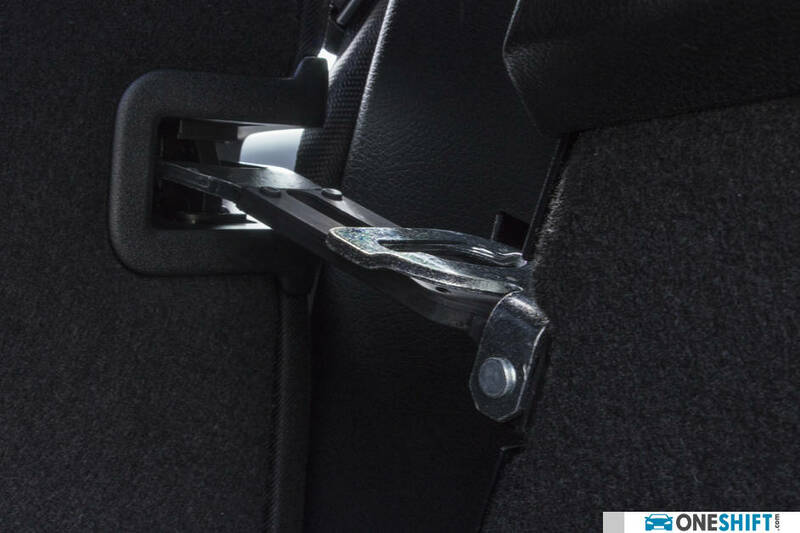 In traditional Mercedes style, electric seat adjusters are sited on the doors. I cannot however come to terms with their Seat Kinetics system, which does minute adjustments to the front seats by a few degrees every now and then, which Mercedes says, improves back health; but in reality, proves to be rather unsettling when you are negotiating a bend, and the seat decides to adjust itself. 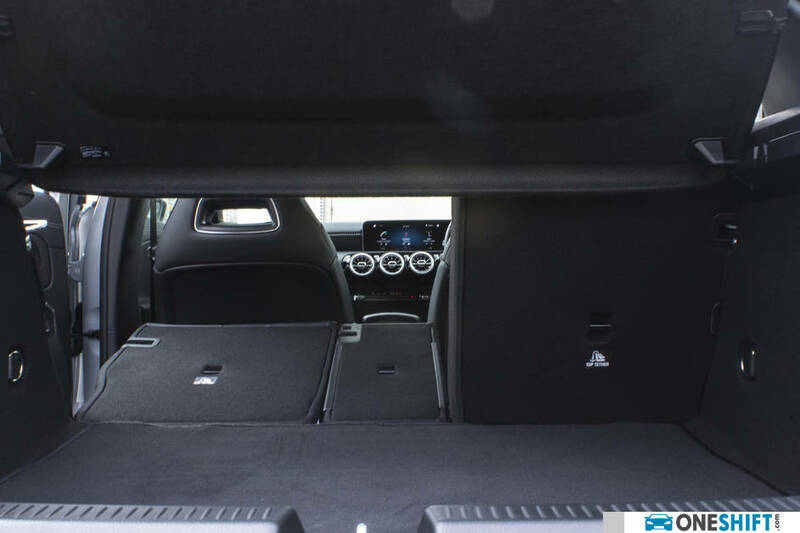 With the slightly longer wheelbase offered, rear seats also offer more legroom. We do like that cargo space is respectable at 370 litres, 29 litres more than the previous car, while the loading aperture is 29cm more than the previous A class, thanks to their decision to split the tail lamps into two-section units. Rear seats do fold down in 40:20:40 fashion, though not fully flat. With its compact dimensions, the Load Compartment package adds to a little more versatility, essentially an additional latch to lock the rear seats in a more upright position, to allow for slightly larger items to fit into the boot, while still being able to accomodate the same amount of passengers at the rear, albeit in a rather uncomfortable manner. 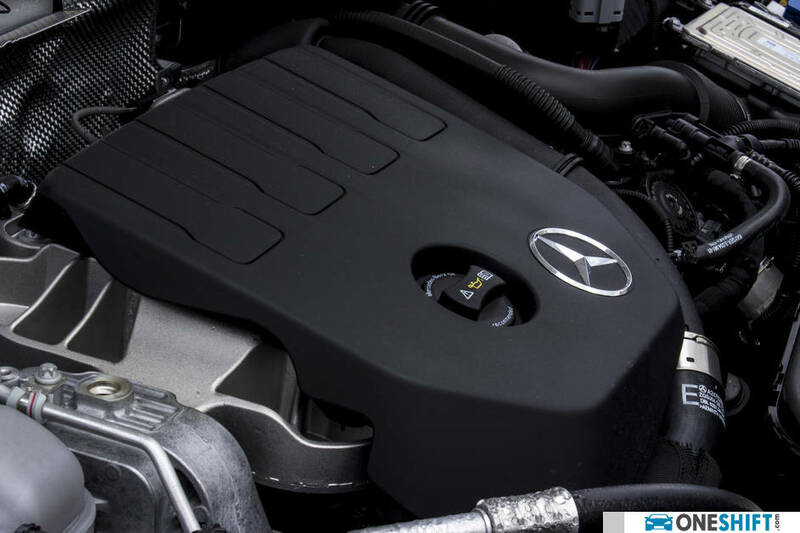 The A 200 is powered by a new right-sized 1.3 litre (1,332cc) turbocharged four-cylinder unit, good for 161bhp and a healthy 250Nm dab of twist, delivered at just 1,620rpm. The car leaps to 100km/h in just 8 seconds, while fuel efficiency figures on combined cycle stands at 17.9 km/l, which is actually very good. 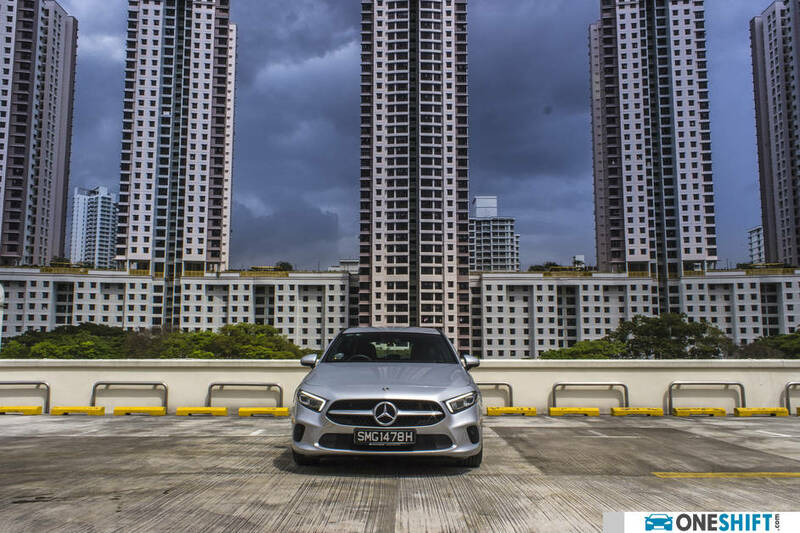 Numbers aside, the A Class actually feels very confident on the road, and does not get unsettled easily by uneven surfaces. 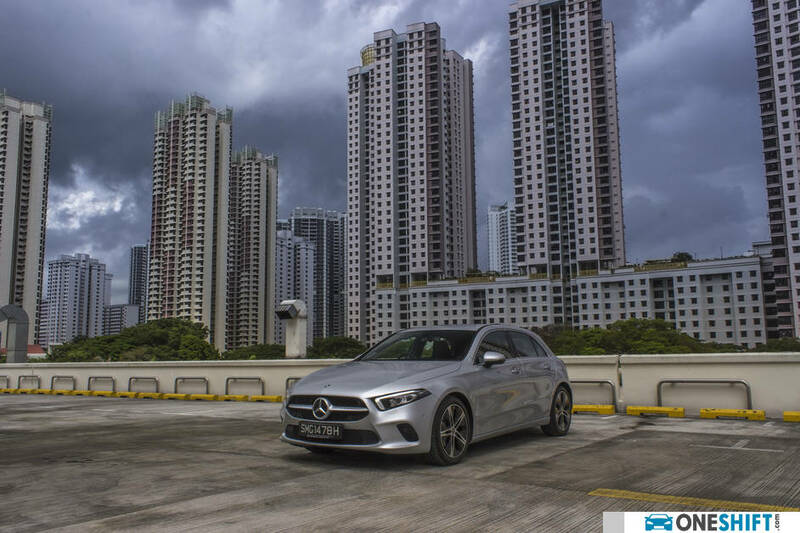 Plant the car into a bend, and even in its basic A 200 Progressive guise with 18” 5-twin-spoke rims (the AMG Line variant uses 19”), the A Class feels nimble, to a point of being delicate and precise… very nice! Its 7G-DCT (Dual Clutch Transmission) also feels more responsive versus the version of the cog-swopper found on the previous car. Overall the little “Merc” feels light, and in normal driving mode, the steering is also on the lighter side, but does weigh down well enough in ‘Sports Mode’. Push the car harder and its raspy smaller engine characteristics do show, though insulation does a good job of reducing the plenty that goes on around you. The A Class truly presents vast improvements in drive refinement, and build quality versus the old car. 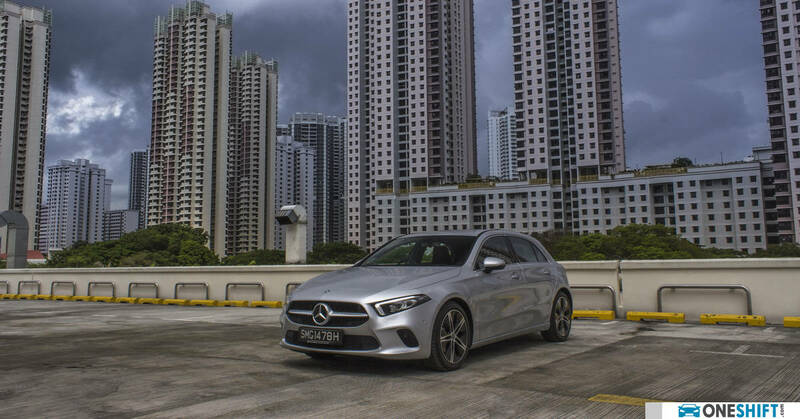 Nimble on its toes, and quite a bit of fun to toss around, and the most affordable way to own a new Merc (S$153,888*)… that is especially if the badge matters to you the most.